Shadow Work Meditation is a deep and meaningful process that facilitates emotional healing and personal transformation. The purpose of the guided meditation process is to help you to evolve through cultivating your awareness of different physical, mental, spiritual and emotional aspects that affect your life. In bringing them to your focused awareness and embracing them, you can work on aligning and integrating the knowledge and wisdom of yourself. Working on our shadow, the part of the unconscious mind that contains repressed weaknesses, strengths, and instincts, unlocks the barriers between our conscious and unconscious self. With careful guidance and self acceptance we begin to consciously admit to that which we have been previously unwilling to own. It takes some courage, but it is some of the most rewarding work that we will ever do. 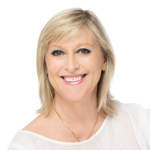 Gillian Godtfredsen guides you to discover your inner shadow, your inner strengths and personal resources. The process is a powerful tool for personal development, self-empowerment, inner strength, balance, centeredness and being fully in touch with life.This meditation is recommended for the more advanced student, i.e. serious students of personal development and those who meditate regularly. This is one of the most important meditations ever made. Big words? Not at all. It touched me, awakened me. It made me understand that I cannot flee from myself or sit on a cloud and just think about Love and Light. Everyone should have this. Thank you Gillian for what you have conveyed here. In deep respect for your work. At last - the meditation I have been waiting for! A powerful and extremely meaningful meditation for inner work and alignment. I welcome a new and important awareness in my life. Thank you Gillian for a very important meditation. The information before the actual meditation was insightful. The process is a light and respectful approach to acknowledge issues that are not often in the open. As always, the sound of your voice makes me feel relaxed, loved and secure. Shadow Work is a conscious and powerful tool for deeper inner work. Thank You! Working with and acknowledging one's shadow is an essential part of the inner work for the serious student of personal development. A welcome and powerful tool for the journey of self discovery.